Audu Maikori, CEO of Chocolate City Entertainment, has been arrested by the police over his tweets about a fatal attack on his relatives in Southern Kaduna that turned out to be false. Mr. Maikori, 41, was arrested in Lagos around noon Friday by a team of police officers attached to Inspector-general monitoring and intelligence team and was immediately transferred to the Force Headquarters in Abuja. “I arrived at the Force Headquarters and learnt that a detention order has already been signed for him. I am not sure he will be released tonight.”Mr. Jacobs said he was told by the police that a magistrate issued warrant for Mr. Maikori’s arrest and are planning to charged him with attempt to “incite” the public. “My driver’s younger brother and five others students of college of education Gidan Waya were ambushed and killed by herdsmen yesterday #SouthernKaduna.They were in a commercial car going back to school when the driver stopped suddenly under the pretext of checking his engine #SouthernKaduna.“As soon as the car stopped the attackers shot all 6 students but let the driver who is Fulani go. He gave us these details#SouthernKaduna.“When we speak we are viewed as trouble makers by the Govt. Well I have seen the pictures and it’s a painful sight#SouthernKaduna,” Mr.Social media users became livid after Mr. Maikori’s vivid naration of the purported attack. On February 4, following intense criticism on social media, Mr. Maikori retracted and apologised for posting the tweets in a lenghty article that also offered detailed explanation of how he was misled by Mr. Joseph. Read here if you missed it. 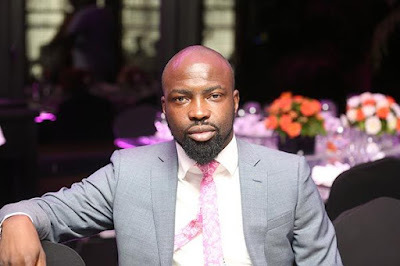 Audu Maikori's lawyer, Mr. Jacob said Mr. Maikori’s driver was arrested a few days ago in Lagos, and had remained in detention ever since. Mr. Maikori’s arrest caused social media buzz late Friday, and some Nigerians are calling for his immediate release because he had apologised for the tweets.